From its tiger-nose front grille, clean but aggressive lines, to its distinctive rear tail lights, it’s easy to spot a Kia from a distance. 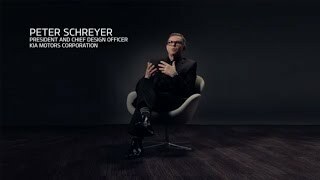 Conceptualized by Peter Schreyer, Kia Motors President and Chief Design Officer, the new Kia design philosophy is instantly recognizable, unique and distinctive. Explore this design concept and discover some of Kia’s most recent design awards and accolades here. Kia Motors has once again reinforced its reputation for the highest design standards, picking up two prizes at the 2016 ‘Red Dot Awards’ for Product Design, one of the most prestigious international product design competitions.